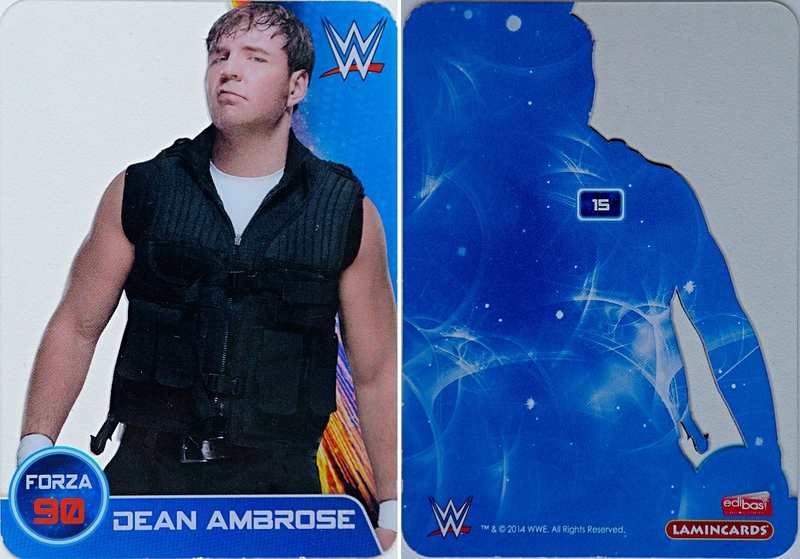 On this page you’ll find all merchandize cards from Dean Ambrose that were published in 2014 and that I actually own. I don’t copy & paste pictures from all around the internet. So chances are that these aren’t all cards available. 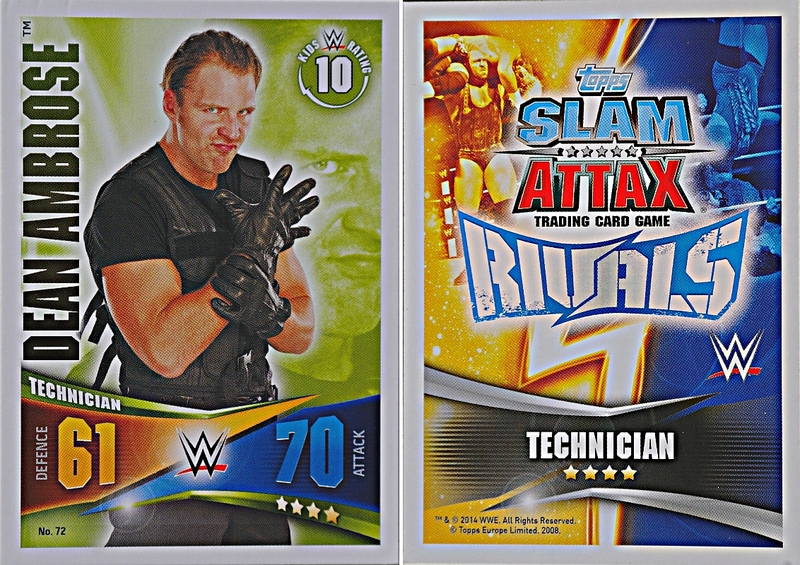 If you like to suggest one or more cards for me to complete my collection, just give me a hint in the commentary section on this page. Thanks in advance! 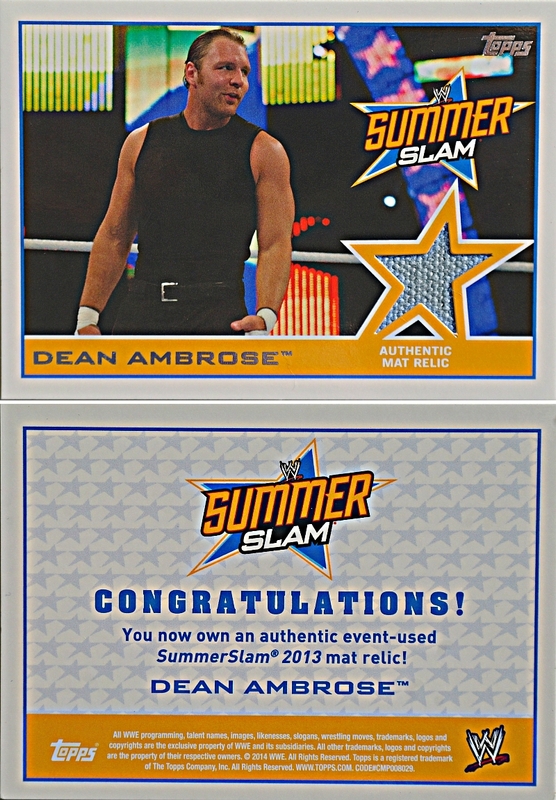 Dean caught my eye on Day One while he was in NXT [actually FCW at the time]. A cross between “Rowdy” Roddy Piper and the “Loose Canon” Brian Pillman, the Cincinnati native is a natural. 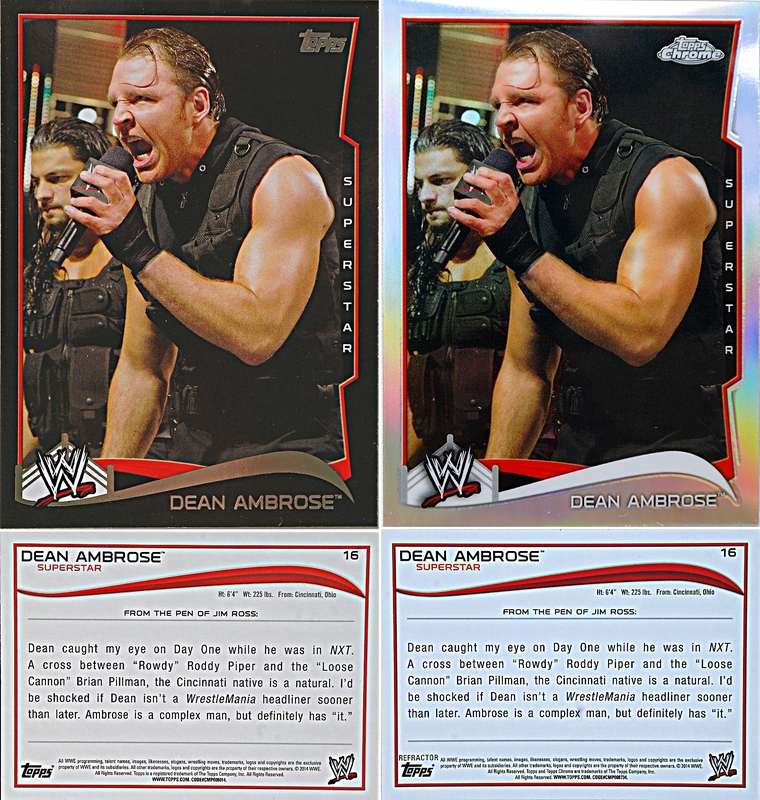 I’d be shocked if Dean isn’t a WrestleMania headliner sooner than later. 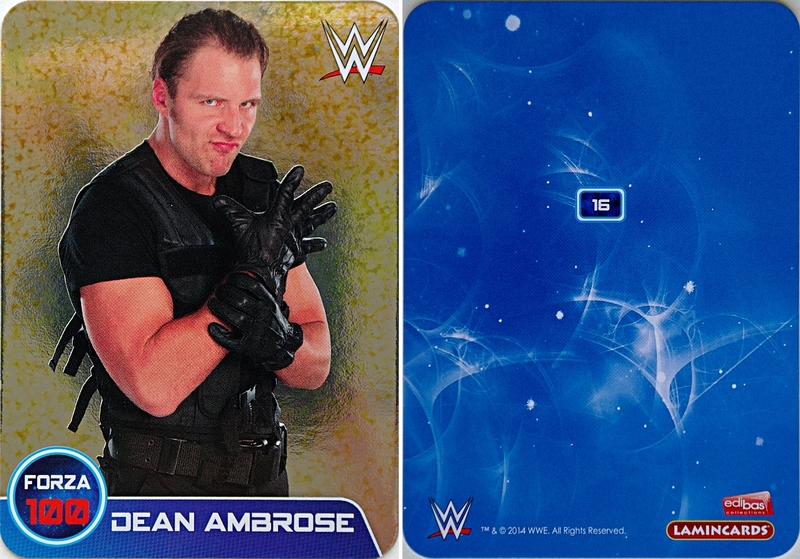 Ambrose is a complex man, but definitely has “it”. 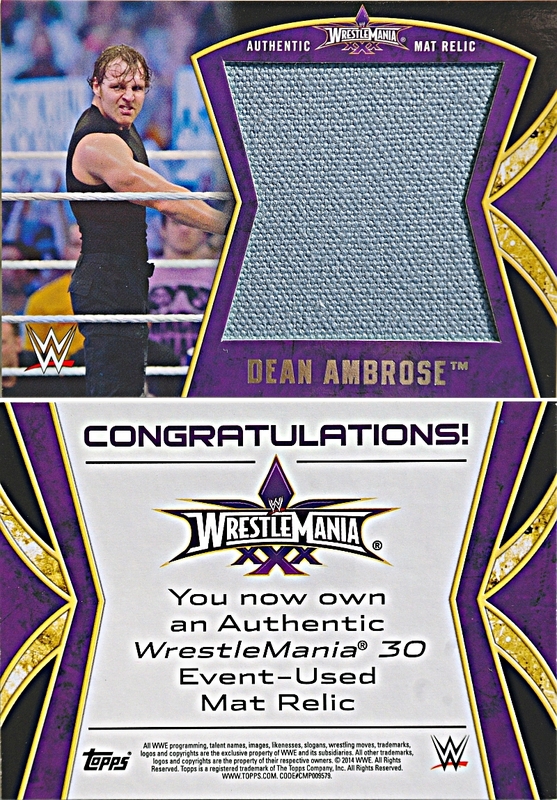 Note on the card on the right: This obviously is a variation of the card on the left but with white frame on the obverse side and – most importantly – a piece of authentic event-worn shirt relic. 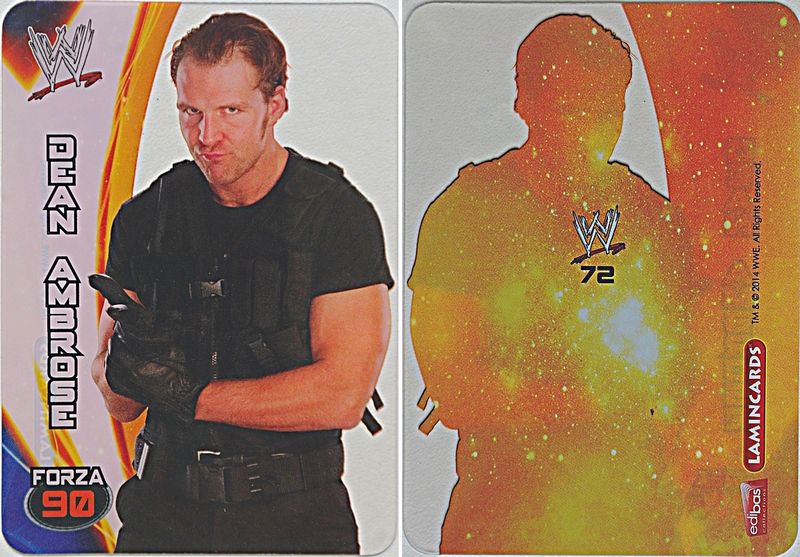 While The Shield had always appeared to be a unit with one common goal, each member occasionally broke out on their own. 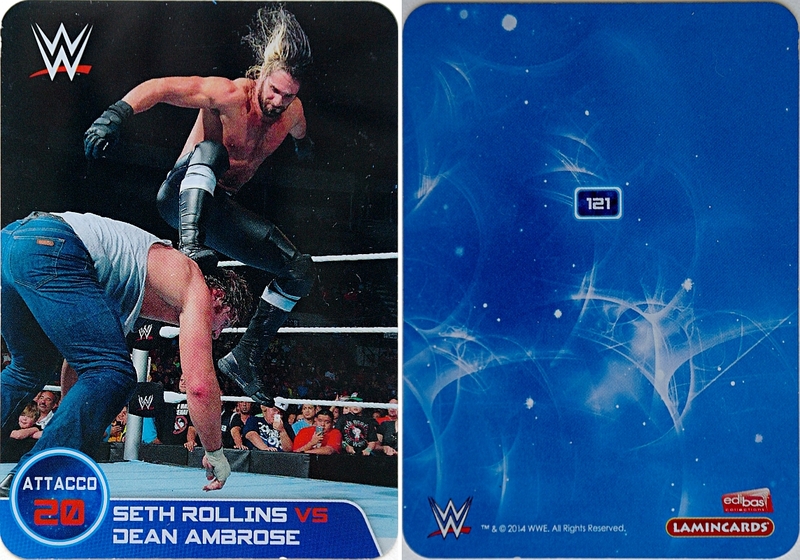 Such was the case at Extreme Rules, where Dean Ambrose took on Kofi Kingston for the United States Championship. 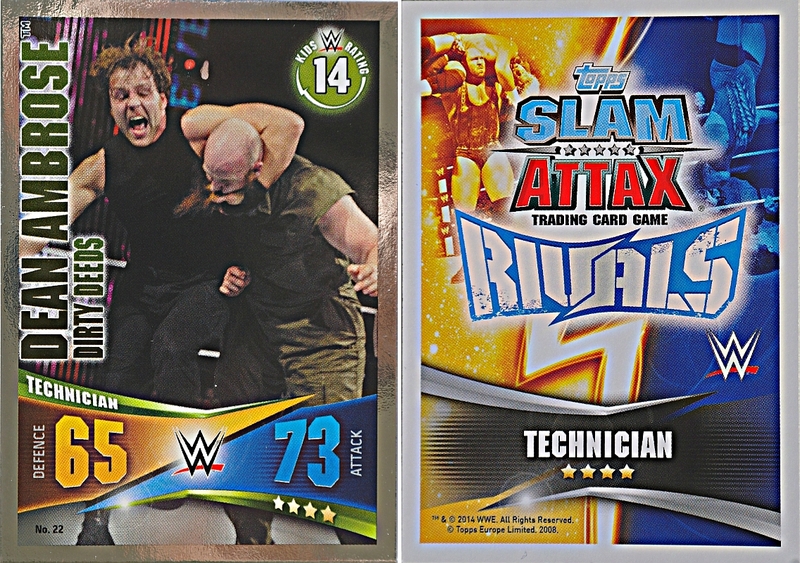 Ambrose was relentless against Kingston and emerged from the match as the new champion. 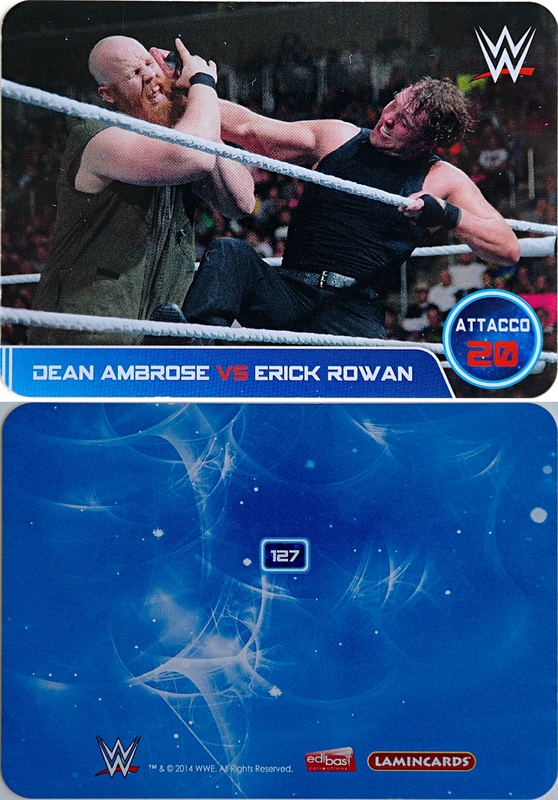 The victory sparked a title reign that lasted through WrestleMania 30, highlighting the breakout talent that Ambrose possesses.